Aaron joined Watsi on February 1st, 2019. 12 other people also joined Watsi on that day! Aaron's most recent donation supported Asaba, a young man from Uganda, to fund hernia repair surgery. Aaron has funded healthcare for 2 patients in 2 countries. 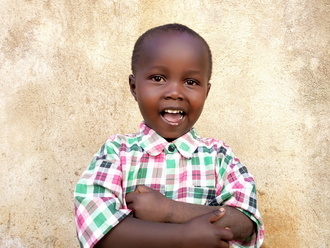 Nahashion is a boy from Kenya. He is the third child in a family of four. His parents farm potatoes and have a limited income. Nahashion experienced a painful accident while he was playing with his friends three days ago. He traveled four hours to visit our medical partner's care center, where he was diagnosed with a fracture. Now, he is in a lot of pain. Fortunately, Nahashion is set to undergo fracture repair surgery on January 25. The procedure will cost $763. His mother says, "I hope he will receive treatment and recover fast."